You have added Swiss Miss Beige and Black A-Line Knit Skirt into shopping cart. 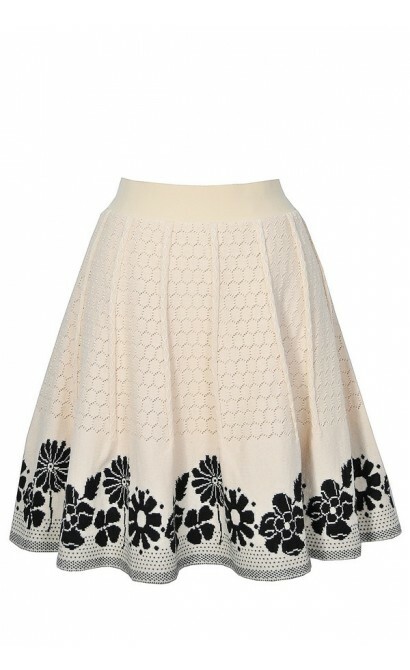 Cozy, adorable, and sweet best describes this knit beige and black A-line skirt with a whimsical flower silhouette print at the hemline. 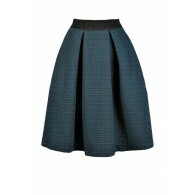 The Swiss Miss Beige and Black A-Line Knit Skirt is fully lined and made of a knit fabric. 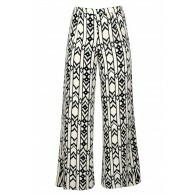 It has an elasticized waist and a great A-line cut. We love the 3-dimensional knit cables that decorate this skirt as well. 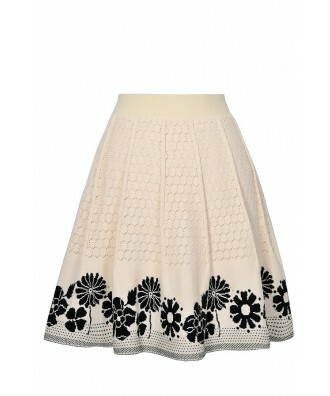 This cute little skirt would look awesome paired with a fitted black sweater or top and black heels or pumps. Wear this skirt with black tights in colder months for a cozy look. This is a skirt you'll love for years to come. Details: Fully lined. Shell: 100% cotton. Lining: 100% polyester. Dry clean only. Small measurements: Length from top of waist to hemline: 18". Waist: 29". 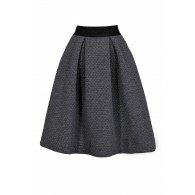 You have added Swiss Miss Beige and Black A-Line Knit Skirt into Wishlist. You have added Swiss Miss Beige and Black A-Line Knit Skirt for Stock Notification. 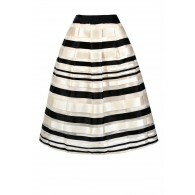 You have set Swiss Miss Beige and Black A-Line Knit Skirt as a loved product. 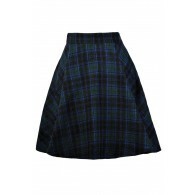 You have removed Swiss Miss Beige and Black A-Line Knit Skirt as a loved product.